Fans In the Stands is a free program which gives individuals and groups the opportunity to cheer on the athletes as valued spectators. Your enthusiasm, team spirit and cheering ability will encourage the athletes to do their best. Plus, you’ll witness the courage, determination and joy of our athletes as they compete. Fans of all ages are welcome, and cheer gear such as signs and pom poms are encouraged. 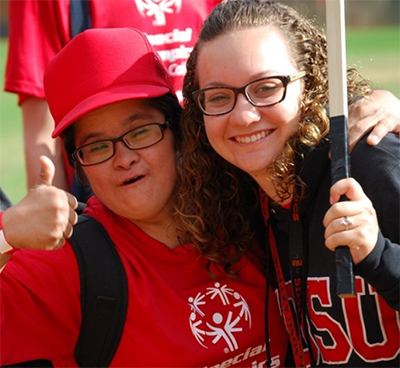 You can start a fan group at your school, attend the competitions and cheer on our athletes!